Grappling—what to do if you are actually taken to the ground. 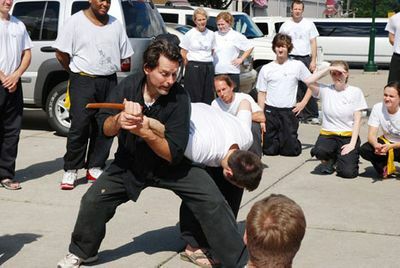 The internal aspects of martial arts include breathing techniques, meditation, introspection, and a focus on taking practice into your everyday life. All skills are taught in a clean safe environment with a focus on partners not opponents. The culture and environment of the dojo is unlike any other. The respect, hard work, and desire to break through your limitations permeates every class. Our main objective is personal and spiritual growth, using the philosophy and path of martial arts to help us strengthen our mind, body and spirit for the battle within. 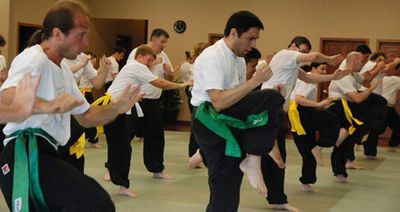 If you are a beginner and have questions about choosing a martial art program, go to our advice for beginners.